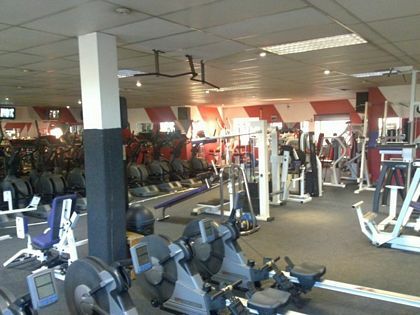 The Warehouse Gym Aberdeen is located at Mearns Street. 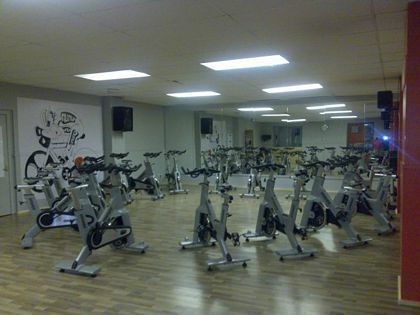 This Aberdeen gym is also a health club and is an independent gym conveniently located in the city centre. 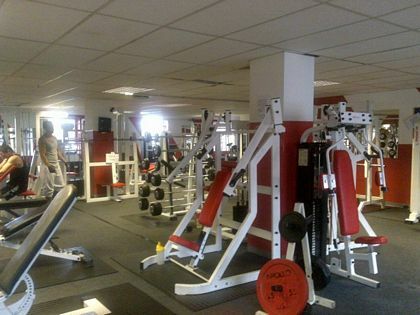 The Warehouse Gym Aberdeen has a range of facilities which include a fully equipped main gymnasium with a large range of cardio vascular and weight machines. A large and extensive free weights area, a large aerobics studio which hosts a wide range of classes to suit all levels, a 15 metre heated swimming pool with a separate bubble pool. 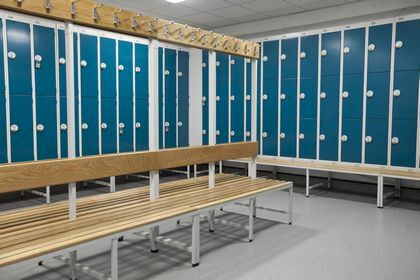 The Warehouse Gym Aberdeen also has separate ladies and gents sauna, a sun bed (this incurs an additional cost) and the opportunity to buy children�s swimming lessons. 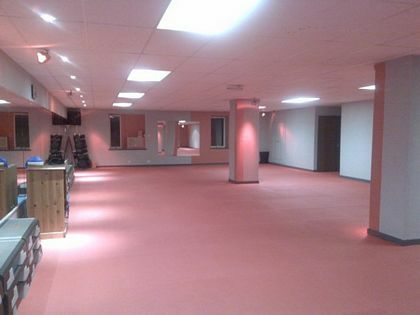 In addition the Warehouse Gym Aberdeen has an extensive range of fitness and leisure classes which include Aqua Aerobics, Body Blast, Boot Camp Circuits, Cardiac Rehabilitation, Cardio Conditioning, Fit Zone, Mixed Martial Arts, Pole Fitness, Power Pump, Power Yoga, Push & Lift, Spinning, Step and Urban Funk. 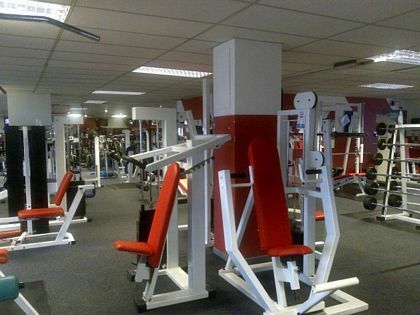 Warehouse Gym Aberdeen offer various membership options and up to date prices can be found at their website thewarehousehealthclub.com where offers to this Aberdeen gym include special day rates, an over 50's rate and monthly pass. There is also the opportunity to purchase yearly membership at Warehouse Gym Aberdeen. The personal trainers, Kerry Smith and Karen Ross, work at the Warehouse Gym and Health Club and more details can be read about their services on the Personal Trainer Aberdeen page. Other services available at this Aberdeen Gym include complimentary therapies such as reflexology by Hayley. These reflexology sessions make ideal presents for special occasions such as Christmas and Birthdays and gift vouchers can be purchased. Treatments of reflexology can help to relieve stress and tension which can be a contributing factor of some diseases. Reflexology can help to put the body in a state of balance following imbalance caused by stress, pesticides, chemicals, air pollution, drugs, alcohol, processed foods, long working hours or overuse as well as being a compliment to a regular exercise regime. It can also detoxify the body by eliminating the poisons and helps kick start the bowel, urinary system, respiratory system and the skin. It eliminates the toxins so the body can heal itself. Reflexology can also promote the production of endorphins in the body which help the nervous system to reduce pain. For more information on the reflexology sessions offered at Warehouse Gym Aberdeen please contact Hayley A Smith BSYA (Reflex) directly on Tel No: (01224) 571457 or (07919) 257657. Monday to Friday 6am � 10pm. Saturday and Sunday 8am � 8pm. Monday to Friday 6am � 5pm. The health club and gym has a last admission policy of one hour prior to closing times whilst the swimming pool closes 30 minutes before the regular closing time. 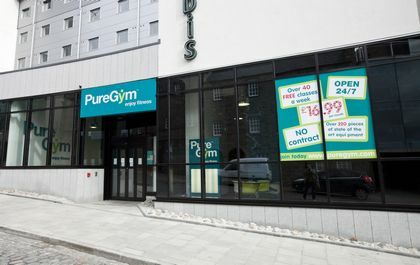 Other Gyms Aberdeen include the Pure Gym Aberdeen which is open 24 hours per day, 365 days per year. The Pure Gym is conveniently located in the centre of Aberdeen and has over 220 pieces of state of the art gym equipment. Membership for Pure Gym Aberdeen starts at just �16.99 per month and unlike some gyms in Aberdeen there is no contract, though there is a joining fee. The Aberdeen gym is ideal if you have been exercising for a while and are used to fitness clubs or if you are just aiming for a healthier lifestyle. The Pure Gym Aberdeen will be open 24 hours a day to suit your schedule and boasts the latest cardio and strength equipment; making this an ideal gym Aberdeen for those unable to go to the gym because of work or family commitments. The Pure Gym Aberdeen opening times ensures that you can call in at any time, day or night to suit your social and work schedule. 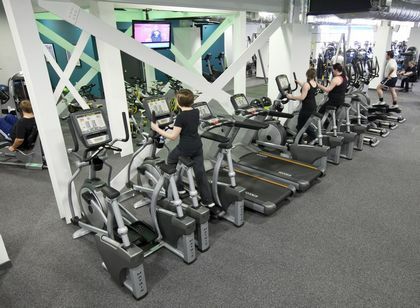 Facilities at Pure Gym Aberdeen include up to date equipment which includes abdominal crunch machines, treadmills, indoor cycles, rowing machines, steppers, chest press and pectoral fly machines and tradition weight training equipment such as free weights. 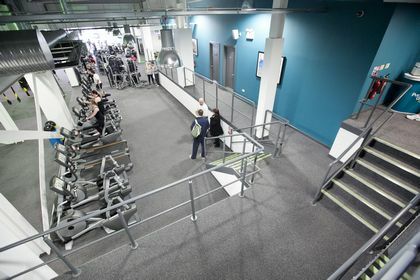 Other facilities include air conditioning, over 15,000 square feet of space which must make this one of the largest gyms in Aberdeen, a free initial exercise induction, changing rooms with showers and lockers and like other gyms Aberdeen there is a range of classes, which are free for Pure Gym Aberdeen members. 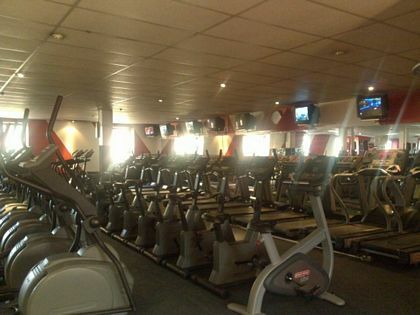 The Aberdeen David Lloyd leisure gym centre club is located on Garthdee Road. New members can claim the latest promotion such as a free seven day trial, a free personal trainer session or a free 4 week fast track tennis course. Aberdeen Gym David Lloyd offers an all round fitness and leisure experience with racquet sports such as indoor and outdoor tennis courts, a heated indoor swimming pool, spa, sauna, steam room, keep fit classes, studios, hair and beauty salon, health and fitness facilities, classes, a multi purpose sports hall and a fully equipped gymnasium. Staff at David Lloyd in Aberdeen are highly trained and the professional coaches can help you with your chosen sport either individually or during a group session. This includes tennis lessons for all levels, football coaching, badminton classes, Choi Kwang Do self defence teaching, basketball, circuit training, pilates, yoga, dance aerobics, step and body balance. 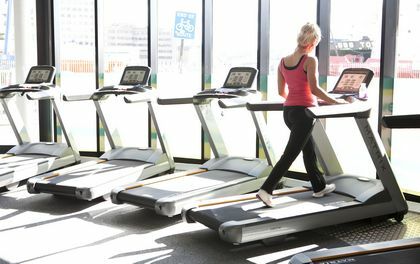 At this Gym in Aberdeen there are league tables to compete in, family sporting events and social entertainment at this local gym, leisure centre and club. The David Lloyd centre in Aberdeen is family orientated and helps you relax or keep fit whilst your children are kept entertained at the creche. Children can take part in swimming lessons which are organised for those aged between 5 to 16 years of age. The David Lloyd restaurant in Aberdeen sells a range of healthy snacks, drinks and light meals in a family friendly setting where you can relax after a work out at the gym in Aberdeen. Children (and young at heart adults) can play the playstations or access the web at the internet stations. There is also a soft play area for younger kids. The costs of these are included in the David Lloyd Aberdeen membership subscription. There is also a fully licensed bar. David Lloyd Gym Aberdeen is just a bit further up the hill of Garthdee Road by the shopping complex of Boots, Currys, B&Q, Sainsbury's and Asda. It is part of the University of Aberdeen complex but is open to the public. David Lloyd Gym in Aberdeen is open from Monday to Friday at 6.30 am until 11pm. On Saturday and Sunday the Aberdeen branch of David Lloyd opens from 7am until 10pm.